I’ve Never Been To Detroit. I’ve never been to Detroit. 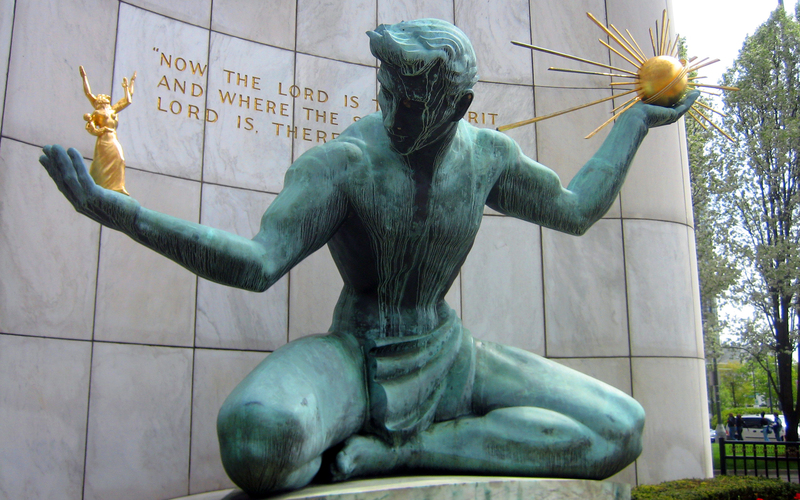 I’ve been to the Upper Peninsula of Michigan and I’ve been to Grand Rapids, but I’ve never been to Detroit. I’ve never been to Detroit but I’ve been to Detroit. I’ve never been to Detroit. I’m from Western Pennsylvania. I was born in Pittsburgh. We left Pennsylvania when I was 2 because my father joined the Air Force. So it goes. Western Pennsylvania was always home. Pittsburgh was always home. As I grew older, identifying with the Pittsburgh sports teams was a way to not only set myself apart from the people wearing the popular teams and the local teams, but also to connect with the place I so desperately wanted to be. Back home. “Steeler Nation” is not just a clever nickname, there are Steelers fans in every hamlet and podunk town in this county, though not all of them are originally from Western Pennsylvania, obviously. And that’s okay. One need not be from the area in which a team resides to support that team. However, while one may relive great moments in Steelers history with these fans or cheer the ones that are happening at that moment, there is something about he way the interaction always plays out – not being able to connect about drinking a Yuengling or looking out over the gorgeousness that is dahntahn Pittsburgh from Mount Washington or your grandma’s pierogies – that makes the short lived friendships I’ve struck up at bars simply because of the jersey on my back a little hollow. They follow the Steelers for one reason or another, but Pittsburgh is not in their heart. I’ve never been to Detroit, but I know that Detroit is not dead. I started playing soccer as a wee lad of about 5 or 6, like most people in the most of the world, I suppose. We were stationed at Hanscom A.F.B., northwest of Boston, and I played on a base rec league or something like that. During the summer, I attended the John Smith Soccer Academy, started by the U.K.-born former New England Patriots kicker. I’d never watched any soccer on TV up to that point but seeing Smith juggle the ball on his feet, head, chest – effortlessly – hundreds of times impressed me as a youngster. I think at that point a love of soccer was planted in me but years of living in places where only basketball, American football and baseball were the sports anyone cared about, left me unable to fully explore my love of soccer in the way I should have. That love wasn’t really nurtured much until I started going to college and had Wednesday afternoons off, which allowed me to watch Premier League soccer on ESPN, since there was nothing better on in the middle of the afternoon. That, coupled with the 1998 World Cup in France rekindled my love completely. Being part Scottish, I was not happy Scotland had to face Brazil in the opening game of the World Cup. Scotland had little chance to keep up with the Brazilians and everyone, myself included, expected a blowout. It wasn’t. Scotland played with Brazil, they were equal with them. The game was tied, 1-1 and probably would have ended that way if not for a fucked up bounce off a defender that ended up in the back of the Scotland net. I lived a mini-lifetime of being a Scottish football fan in those 90 minutes. From Brazil’s early goal to Scotland playing quite well and tying up the game to a heartbreaking odd bounce that lost the game…and I was hooked. My parents happened to be in Scotland at the time so I begged them to bring me some gear, which they did. 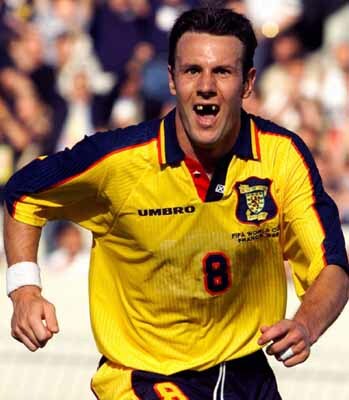 Because I was (and am) a huge hockey fan, my favorite player from that Cup was, of course, the toothless wonder, Craig Burley, who played for Celtic. Because of Craig Burley normally played for Celtic, I became a Celtic fan. Because of Celtic message boards (remember those?) I discovered St. Pauli. Because ESPN only ever seemed to show Premier League matches I decided I needed an EPL team so I started supporting Liverpool F.C..
I’ve never been to Glasgow. I’ve never been to Scotland. I’ve never been to Hamburg or Liverpool. I love these teams. I have cheered their victories and swallowed their defeats. I’ve loved them for years. I’ve been to Pittsburgh. I have attended Penguins games at Civic Arena and waived my Terrible Towel at a Steelers game. I can watch these teams from my home in Kansas or at bars with friends. That is my connection. These teams, this black and gold they wear – this black and gold I wear – it binds us, Pittsburgh and I. I have looked out at Pittsburgh from the top of Mount Washington and have never felt more safe or at peace. I’ve been to Pittsburgh. I’m from Pittsburgh. Pittsburgh is home. Pittsburgh is in my heart. But I’m going soon because of Detroit City F.C.. I read this. That’s all it took, an article that came out a little over two weeks ago and I’m a supporter – a fanatical supporter of DCFC. 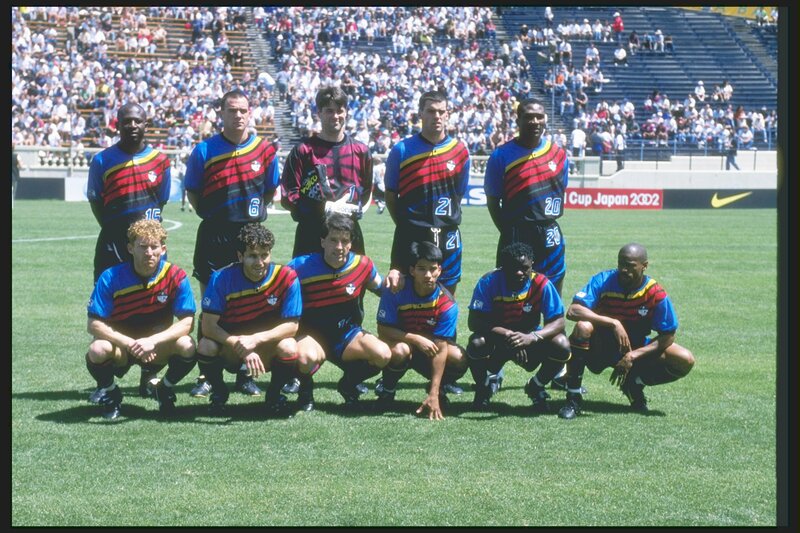 The people who founded the team, who run the team and chose the colors and logos have done everything right. Detroit needed DCFC in 2012 and it needs it still as it recovers. The city will always need the team and the team will always need the city. But I digress, in 2011 I became a true fan because I didn’t feel like Sporting was trying to dumb down soccer for Americans. Sporting KC I could get behind. Sporting KC I could support. I could wear a Sporting jersey on the street and not be embarrassed. The KC Wiz – and the pee jokes it encouraged – I could not support. Even the Wizards, with its lame attempt at a Wizard of Oz reference was forced and stupid. Regardless, despite the fact that matches at Sporting Park are family-friendly, they’re still quite fun and you can chant and yell as loud as you want. But something is missing. It’s the same thing that was missing for me with Celtic and Liverpool and all the shiny national teams I’ve watched in friendlies and all those World Cups since 1998. They’re too big, too polished…they’re on the same level as the NFL or MLB in the States. Too slick. Not rough around the edges. But not Detroit City. Not the Northern Guard. Finally someone, somewhere has done American soccer fandom right. The Northern Guard and other DCFC supporters aren’t “fans”…they’re maniacs. They’re insane. DCFC could lose every match and they’d be in the stands, as many as there ever were, singing and chanting and banging drums because it’s not about being slick or corporate, it’s about coming together to support their team and their city. Detroit. The real Detroit. I’ve never been to Detroit but I am a Detroit City Football Club supporter. Even though I’ve never met the Northern Guard, I will proudly stand with them in rougue and gold. It was only two weeks ago that I discovered DCFC and the Northern Guard but it feels as though I’ve been here forever. I’ve never been to Detroit but I understand Detroit. I’ve never been to Detroit but my heart is there tonight. My heart is with the Detroit City Football Club and it always will be. Detroit City Til I Die. Author hogs35Posted on May 13, 2015 Tags #ctid, #DCTID, city til i die, dcfc, detroit city football club, le rouge, ngs, northern guard, northern guard supportersLeave a comment on I’ve Never Been To Detroit.